Social media sites like Facebook, Twitter, and LinkedIn are a great way to reach a lot of people at once. Many people using social media for business see it as a way to push content outward at an audience. But social media is also a great tool to get information from your audience. The most effective way to do this is through authentic conversations directly with your audience inviting their feedback, but there are also a number of tools that can tell you a lot about your audience–even if they aren’t always typing replies to your content. Read on for ways to learn more about your customers and audience using some readily available and free social media tools. Bitly is a free link shortener that also tracks and tallies clicks to links. Use it to shorten long links and then to see how popular your content is. After you create a Bitly link, it is saved to your link library. You can then go back to your library to see how many clicks your link has gotten. If you use the same link of your Facebook and Twitter pages, Bitly will tell you which site clicks came from and even if people are accessing that link from a shortened link someone else has created. By learning more about the clicks your content gets, you can see what is of interest to your customer and audience. You can also see if some of your content drives more traffic on Facebook or Twitter giving you insight into where you customers are and how they behave. When a fan gives your content a like, it means they support what you have to say or offer. It’s not a big commitment like a comment on your post, but it’s something to pay attention to. Try out different types of content on your Facebook page, such as offering a deal or sharing a tutorial and see which piece of content receives more likes. This can tell you the type of content and even products your customers are looking for. Do you have fans that always like your content? Reach out to them with a special offers for being such a good fan. Remember, Facebook friends can now easily see when someone likes a post, so its also a great promotion. Twitter retweets are a step above an action like a favorite or alike. A retweet shows that your fan supports your content so much that they are happy to be associated with it. This also means that your customers want to share your content with their friends. Every time someone retweets your content, note what type of post it was. This will tell you what kind of posts are likely to spread the word about your business in the form of retweets. You can dig deeper into your social media activity in Facebook Insights. These are offered to anyone who manages a Facebook page. Dig into all the categories of your insights to learn the demographics of your fans, what time they’re online and who they are. You can even go so far as to target your posts based on demographics, allowing you to test what you learned from your likes and insights. Social media isn’t a one way conversation or just a way of sharing information. Use social media to learn more about your customers and potential customers and offer them more of what they like! Interested in Earning Some Extra CASH? 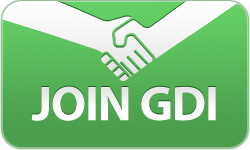 Become an Affiliate for GDI – It’s EASY! We’ve shared many times that social media is a powerful tool to promote your business. Companies large and small are turning away from more traditional marketing channels and towards social media. This is great, because it further demonstrates that social media is a smart place for you to be, but it also shows that social media is becoming a crowded place, where it’s getting more difficult to get your message seen. To deal with these issues, you need to take a strategic approach to social media marketing to ensure that your efforts are worth their time. Read on for guidelines to build the right social media strategy for you. Being strategic with your time and planning means not being on every single network. Identify which social media networks make sense for you to market on. One way to do this is to identify who you are trying to reach and match them with a market. Are you trying to reach domain savvy, younger individuals? Twitter may be the right network for you. Are you trying to reach stay at home parents and middle aged users? Facebook may be the right match. It’s important to follow specific network guidelines and best practices to better identify what networks you should be marketing on. Are you an experienced videographer or do you absolutely hate seeing and hearing yourself on screen? That’s an easy question you can ask yourself tied to skills. Your answer will decide whether video should be part of your social media strategy or not. Identify what things you excel at, maybe it’s writing. That would mean blogging should be part of your strategy. Outside of simply using Facebook, Twitter, LinkedIn and more, what special skills do you have? Find a way to work them into a strategy. For example, maybe you’re a whiz in photoshop–use powerful images to help your social media marketing strategy. Goals can be the biggest part of your strategy decisions. You need to know what you want to accomplish before you can build a winning strategy. Do you want more followers? That’s great, but why? Many people get caught up in the popularity of social media–trying to gain friends and followers–but don’t go farther than that to ask themselves what they hope to get from these friends and followers. Rather than having such a general goal, consider setting more specific goals tied to your business. For example, set the goal of having a certain number of people clicking the link to your website or set the goal of have x number of followers from your home town, which means they could actually go to your brick and mortar business. Free tools can help make your social media marketing a bit easier. Many of us don’t have time to be on Facebook or Twitter all day, but it’s necessary to be aware of what’s going on on these networks to do your best marketing. To combat this, use free services like TweetDeck or HootSuite. These allow you to schedule content on multiple social networks as well as monitor your profiles for you when you’re not around so you can see who is talking about you or posting about you at all hours. Being a successful affiliate marketer can’t be attributed to just one thing–many attributes and practices need to come together for someone to be a leader in affiliate marketing. While this can be a bit intimidating, the good news is that many of the habits of successful people can be learned. Read on to learn more about the habits of the most successful affiliate marketers. Successful affiliate marketers offer support to others they’re working with. This support can come in the form of leads, introductions, phone calls or other informational material. Success in affiliate marketing depends on the strength and success of your team and leading marketers understand that. Offering support in many different ways ensures a happy team that is more likely to stick with affiliate marketing and succeed. Successful affiliate marketers know their product inside and out. GDI offers a domain, website building tools and associated services. Successful GDI affiliates know all about these offerings, how they work and who they work best for. When you truly know the product (and use it!) it’s much easier to share with others why it’s so important. Successful affiliate marketers also make sure their team members know all about the product to keep building an educated team and a happy customer base. 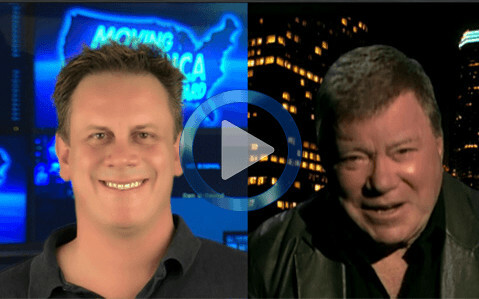 Successful affiliate marketers are friendly! Like many occupations, affiliate marketing comes with a bit of customer service and an easy way to give great customer service is to be friendly! Being a friendly affiliate marketer might mean sharing information about your affiliate program and asking questions without being too pushy. It can also mean checking in with a new affiliate to see how they are feeling and what you can help with. Friendliness is especially important when you may not get the chance to have face to face conversations with many of your team members–spread your kindness to your team and customers online as much as possible. Successful affiliate marketers know the importance of letting team members and customers know that they are active and engaged. The best way to do this is to keep your website updated or send out email updates. This updates show your team that you’re working hard and interested in your business. Your enthusiasm for your business will be contagious. Successful affiliate marketers know how to be flexible. They know how to be flexible with their business as well as their team members. As product offerings improve or update, successful affiliates know how to position the new product, share updates and adjust their marketing accordingly. Additionally, successful marketers know how to be flexible with meetings and phone calls with their team members. Not all of your team members will be local or even in your same time zone. Successful affiliates know how to be flexible to accommodate team members and customers all over the world. Possibly the most important attribute of successful affiliate marketers is an interest in others. Affiliate marketing is all about networking and building relationships, and a true interest in the success of others is needed to do this. Engage with your team members and invest in their success with your time, and the interest will follow. These are just some habit of successful affiliates. You may have some we haven’t listed that make you successful! Also, habit can be learned so don’t worry if you don’t have them just yet.